If today’s rumor is true, and Google does plan to unveil the next Nexus phone in October, then I can’t help but start putting together a list of features I hope to see. To be honest though, my list isn’t huge, however, there are some things I must have in order for me to feel really good about purchasing this phone. Because after all, I will be purchasing this phone, no matter what. Overall, I really just want Google to take pride in hardware for once, along with focusing on the bells and whistles of software. I actually do not care if LG, HTC, or Samsung make the next Nexus. I have to admit that I would be somewhat disappointed if it were to be Sony, as the designs of their phones, in my opinion, have been some of the ugliest in the business for years now. Motorola would be welcomed, but their name hasn’t been included in even one of the Nexus rumors that have come out over the last few months. I’d prefer HTC if they could build anything close to the quality of the One X. They aren’t likely to produce the phone though, so that leaves us with LG and Samsung. While I’m still in love with the overal design of the Galaxy Nexus and wouldn’t be disappointed with a slight re-hash, it feels like it’s time for some new blood to enter the Nexus game, which is why I’d prefer LG at this point. 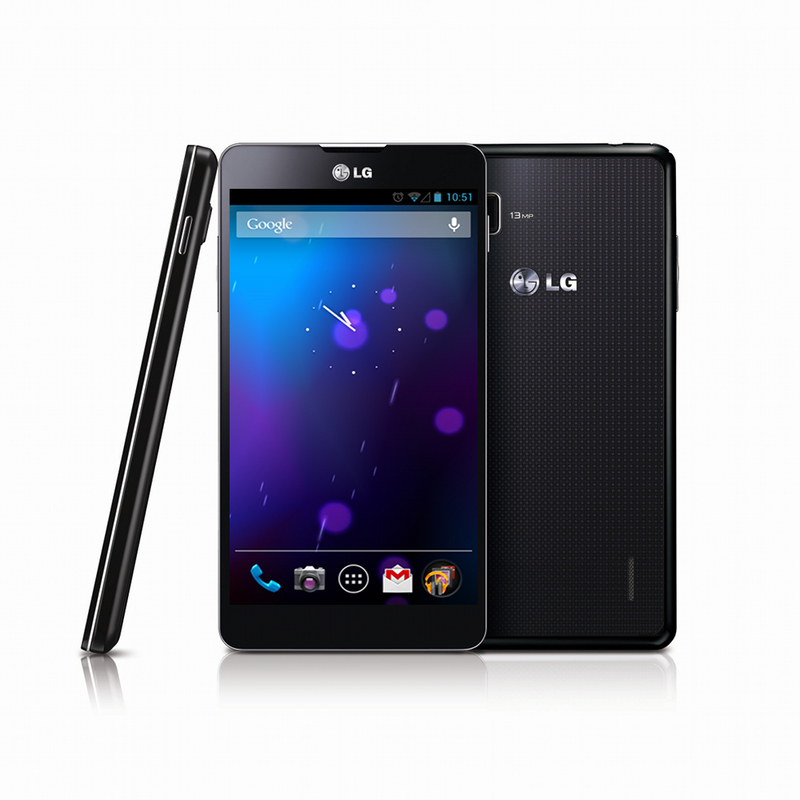 If the design is anything like the Optimus G, I’d be more than happy. Display tech on smartphones has come a long way, even since the Galaxy Nexus launched with the first ever HD Super AMOLED display last November. It’s crazy to think that as one of the first 720p displays in the business, it is now looked down upon as not being one of the best in less than year. Samsung has now improved the HD Super AMOLED so much, that it is no longer PenTile and is noticeably better than the one on the G-Nex. LG is using True HD IPS+ LCD panels with an impressive pixel density and Sharp is ready to start mass producing 5″ 1080p panels, that are likely first headed to HTC. For the next Nexus, I don’t necessarily need for it to be 5-inches at a 1080p resolution and with 448ppi. I just want it to look stunning, dump the PenTile arrangement, get incredibly bright, and show colors that pop off the display. LG’s new LCD displays are what I would prefer, since they use an RGB Stripe arrangement, can generate 470 nits of brightness while using less power, and incorporate a new G2 Touch Hybrid Display technology that makes it seem like you are actually touching whatever is on your display. As far as size goes, the Galaxy Nexus and its 4.65″ display are as big as I would like to see. And to me, that’s only bearable because the navigation buttons are on-screen, giving the display about 4.3″ of usable space. With the Galaxy S3 and One X, which have hardware navigation buttons, their 4.7″ and 4.8″ displays are too big for my liking. The 5MP camera on the Galaxy Nexus is one of the worst in recent history. Well, you could also argue that stock Android’s camera software is partially to blame. The reason I bring that up, is because the HTC One X has arguably one of the best smartphone cameras ever, but with stock Android on it, it’s camera immediately turns to garbage. So for the next Nexus, Google needs to focus on not only putting in a quality sensor, but also fixing camera software. Samsung and HTC are changing the way smartphone cameras function with impressive new feature sets in their custom skins, so I would love nothing more than for Google to adopt some of them. Make it an 8MP camera, fine tune the stock camera settings, give me burst mode, and better sharing capabilities. Please Google, do not make the next Nexus out of pure plastic. Apple is over there tossing in fine metals, glass, and polish, while each Nexus phone seems to be made of some of the cheapest materials on Earth. And this is why we would love for HTC to produce a Nexus, because they are taking materials seriously with ceramics and fancy “microarc oxidation” processes. Just give me a uni-body design and don’t use flimsy plastic. Since the phone likely won’t have a carrier partner at launch, we are looking at having to buy it at full retail directly from Google. Hopefully Google sticks to their Nexus 7 approach and makes the phone ultra-affordable. The Galaxy Nexus is still available for $350, which if you haven’t figured out already, is a steal for an unlocked phone. Give me everything above in a sub-$400 package and you’ve got yourself a winner. Aside from those 5 things, I would of course, love to have a Qualcomm Snapdragon S4 Pro quad-core processor, 2GB RAM, 32GB storage, a 2500+ mAh battery, NFC, LTE, etc. These things are all sort of standard these days (or are about to be), so they aren’t receiving their own section. But please Google, let’s not go OMAP this time around. In somewhat realistic terms, what would your next Nexus be?